You can pay online, by phone, or by mail. Your water/sewer bill will be mailed to you every other month. If you have questions about a water shut off notice, or your bill, please visit Pay Your Water Bill or call 720-898-7070 during normal business hours. 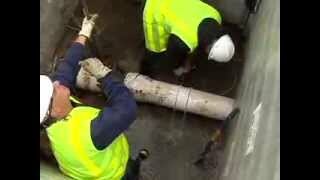 How Can I Establish Water and Sewer Service? New Home Owners: If you are a new home owner here in Arvada, the title company you worked with during the purchase of your home will contact the City of Arvada to set up water/sewer service in your name. Renters: If you are a renter, your landlord will contact the City of Arvada to set up water/sewer service in your name. How Can I Report a Water Issue? If you notice or suspect problems in the water system, such as main breaks, service line leaks, frozen meters, low pressure, bad taste or odor, or dirty water, please notify us at 720-898-7780 between the hours of 7:00am and 3:30pm Monday through Friday, or 720-898-7820 after business hours. To report a non-emergency water problem electronically, please use Ask Arvada. The City of Arvada treats and delivers over 6.2 billion gallons of water annually to residents of Arvada via 531 miles of water lines, two water treatment plants, nine water tanks and six pump stations. On the wastewater side, the City maintains 9,300 manholes and 410 miles of sanitary sewer mains that annually carry 3.4 billion gallons of wastewater to the Metro Wastewater Reclamation District plant for treatment. The City also maintains, rehabilitates, and replaces existing stormwater structures, funds construction of new drainage facilities, and conducts stormwater quality monitoring and permitting.